Arkansas is an enchanting state in the southern region of the United States of America. With a population of more than 3 million people, it is a destination with stunning landscapes and great adventure. Arkansas is a gem-filled state waiting to be explored. Popular attractions include Rock Town Distillery, Buffalo National River and Lake Ouachita. Cheap flights to Arkansas are available for a limited period of time, so seize the opportunity to explore this breathtaking destination right now! Arkansas is home to Northwest Arkansas Regional Airport (XNA), which is a 28-minute drive from Fayetteville’s city centre. XNA serves a number of international airlines, including American Airlines, Delta Air Lines and United Airlines. Popular international flights to Arkansas depart from Cape Town and Johannesburg. The flight duration from Johannesburg is approximately 20 hours and 34 minutes. Throughout the state, there are epic trails to explore. 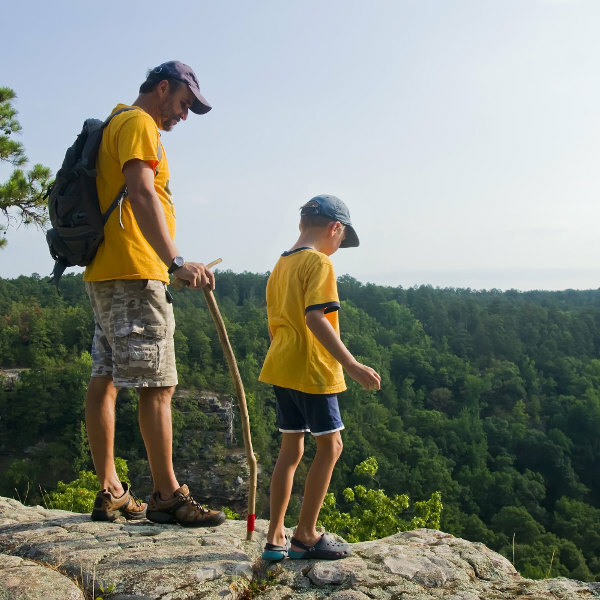 Take in the scenic landscapes with walks through Petit Jean State Park, Devil’s Den and Ozark National Forest. Prepare for surreal views and encounters with nature. Explore the lively arts and culture scene. From blues and banjo musicians to potters and poets, Arkansas’ diverse art scene is alive and well. 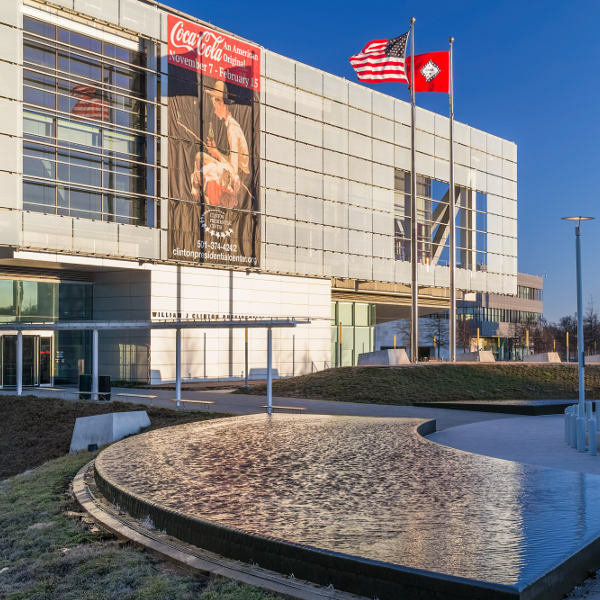 Visit attractions such as Crystal Bridges Museum of American Art and Arkansas Museum of Natural Resources. If you’re seeking an adrenaline rush, then consider jumping out of a plane! Arkansas offers tandem and free fall jumping with epic views. 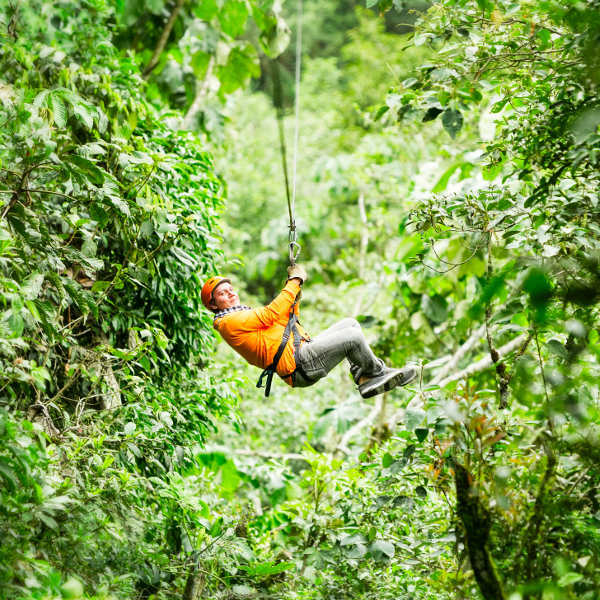 Zip line through incredible Arkansas scenery, including The Buffalo River, Mountain View and Griffin Park in Hardy. Generally, Arkansas has a humid subtropical climate with hot, humid summers and moderately drier, mild to cool winters. The best time to visit Arkansas’ various cities is during spring (March - May) and autumn (September – November). In May, you’ll see the wildflowers in full bloom and the gushing rivers from the snowmelt. In autumn, the beautiful colours of the trees are a spectacle to marvel at. You can expect to pay high prices during summer (June – August) and October when the tourist crowds come to see the autumn colours. Spring and winter (December – February) are the best seasons to travel to Arkansas for cheaper accommodation as there are few tourists. Arkansas is an American state blessed with beautiful state parks and epic landscapes filled with grazing horses. It is abundant with different cultures sharing a love for the state’s exquisite beauty. Little Rock, Arkansas’ capital city, is located on the banks of the Arkansas River. It is a laidback city with rolling hills and trees filling the metropolis. Little Rock is known for attracting American scholars, tourists and kitsch-collectors. It is home to a number of attractions, including Little Rock Central High School National Historic Site, Pinnacle Mountain State Park and River Market. Hot Springs is an interesting city located in the Ouachita Mountains where you’ll discover several natural hot springs after which the city is named. This piece of heaven has views to rival any mountainous destination. Consider camping in Hot Springs National Park, where you’ll experience the serenity of the park with sparkling sunlight bouncing off the tree leaves. Compare several flights and book cheap flights to Arkansas online at Travelstart! South African passport holders require a visa to travel to Arkansas and the rest of the United States. Your passport must be valid for at least six months after your return date, and must have at least three blank pages available for entry stamps. You do not need any special vaccinations to enter Arkansas. However, you must be up-to-date on routine vaccines before travelling to the city. These vaccines include measles-mumps-rubella (MMR) vaccine, diphtheria-tetanus-pertussis vaccine, varicella (chickenpox) vaccine, polio vaccine, and your yearly flu shot. Some travellers may require vaccinations for hepatitis A, hepatitis B and rabies depending on your itinerary for Arkansas. Arkansas is considered one of the safest states in the United States of America. However, visitors are still advised to remain vigilant as with every new destination that you’re visiting. • Do not leave valuables in your rental car. • Always carry a copy of your ID or passport with you. • Be wary of your personal belongings in public as petty crimes like theft can occur.